Stress and Anger are often the major causes of depression and tension between the families and friends. The one who has ability to control his anger and handle stressful situation is always able to attain great heights. If you too feel that you have been stressed or upset of late, and have not been able to figure a way out, you need to sign up for stress and anger management classes. Judgment: Sometimes mismanaged anger leads to bad decision making. With anger management classes you get to learn how to manage and control your anger which would result in better judgment and decision making. Stress: With these classes you will be able to manage your stress better, which is one of its long term benefits. This is an objective that is taught in stress and anger management classes. Having better control on yourself, you will find it easier to avoid situations that would otherwise become stressful for you. Less conflict: You will see that you will have fewer conflict situations. You will also have fewer difficulties with your co-workers, parents, family and children. You will understand and learn the skills that can lead to positive discussion with other people. Relationships: Another way you will benefit from anger management classes is that your personal relationships will be more comfortable for you. You will find a lot of people who prefer not to be around some people that they love because of anger. This is a problem that you will be able to avoid rather easily. More empathy: In these classes you will be taught to be more empathetic. This is where you will feel what another person feels. Where ever you go, you will find that the people who can empathize are highly respected. With this you will be able to get more people to cooperate and understand you easily. Know your responsibility: You will be able to recognize your responsibility that is recognizing your fault and fixing it. And when it is not your fault, you will also know how not to take the blame without being aggressive about everything. For all this you need to approach a recognized firm from where you can take such specialized classes. Pria Warrick Finishing Academy is one such institute which can help you out here. This academy has specially designed stress management and anger management courses. The duration of these courses varies from a month to a year. 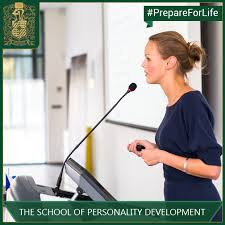 Apart from these classes, you can also take Public Speaking classes and Social Etiquette classes from Pria Finishing Warrick Academy.